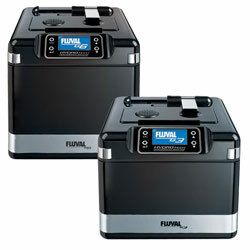 Computerized precision and aquarium filtration combined for the first time into one sleek, efficient canister filter package with the Fluval G3 Advanced Aquarium Filtration System. Intelligent design uses a microprocessor and LCD display to analyze and report real-time performance, water parameters and cleaning intervals to determine a realistic maintenance schedule and define inefficiencies. New quick-release, top-access filter cartridge prefilter system allows for the fastest media changes available and causes less disturbance to biological filtration than traditional canister filters. 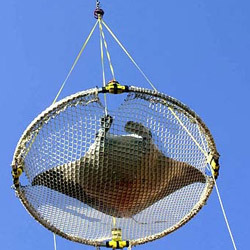 The Fluval G's Large biological media baskets maximize water flow for complete saturation. Double-wall canister design eliminates motor noise for silent operation.